Carror came to the GHSA in 2013 and serves as Director of Compliance and Investigations. He also serves as liaison to High School and College Coaches, and works with Sportsmanship initiatives and Eligibility. Carror and his late wife, Sue, are the parents of two wonderful children (O’sheta and Maresa) and proud grandparents of Justin and Logan. 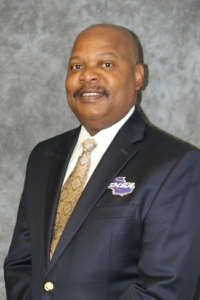 Carror is a former 31-year high school teaching and coaching veteran from Wrightsville, Georgia, graduating from Johnson County High and Fort Valley State University. He excelled on both levels in football and track. Carror earned his master’s degree from Nova Southeastern University. As a high school coach, Wright owns a AAA State Football Championship ring, and four State Runner-Ups recognitions. He has served in an integral role for several Georgia High School teams that appeared in state playoffs. Known as a program builder, Carror coached at West Laurens, Johnson County, Baldwin, Worth County, Lowndes, Terrell County, Northeast and Southwest (Macon) and Dougherty. Carror was named the Albany-John Reynolds Coach of the Year in 2004 & 2005, Macon Touchdown Club Coach of the Year in 2003 & 2008, Macon Telegraph’s Middle Georgia Coach of the year and Region 1-AAA Football Coach of the Year in 2005. Carror currently is a 20-year Georgia Athletic Coaches Association Board of Directors member and serves on the GACA Hall of Fame Committee. He is also a GACA Past President (2008) and former State Football Chairman, 2009-2011. He served as GACA North/South All Star Assistant Football coach in 2001 & 2003 and as GACA Head Coach in 2008 (with a win). Carror was GACA Track & Field Coach of The Year twice. And he received the GACA Life Time Membership Award for outstanding achievement with youth/coaching in 2010. In February of 2014 Carror was presented The Atlanta Falcon’s Coach of the Year Award. In July of 2016, Carror was presented with the GACA Sam Burke Award. Carror has been appointed to the NFHS Citizenship/Equity Committee, serving a four year term of office representing the NFHS Section 3 states. Carror served on the Georgia High School Association Executive Committee for four years. Carror’s hobbies include spending time with family and friends, listening to music, cooking on the grill, and processing pecans.